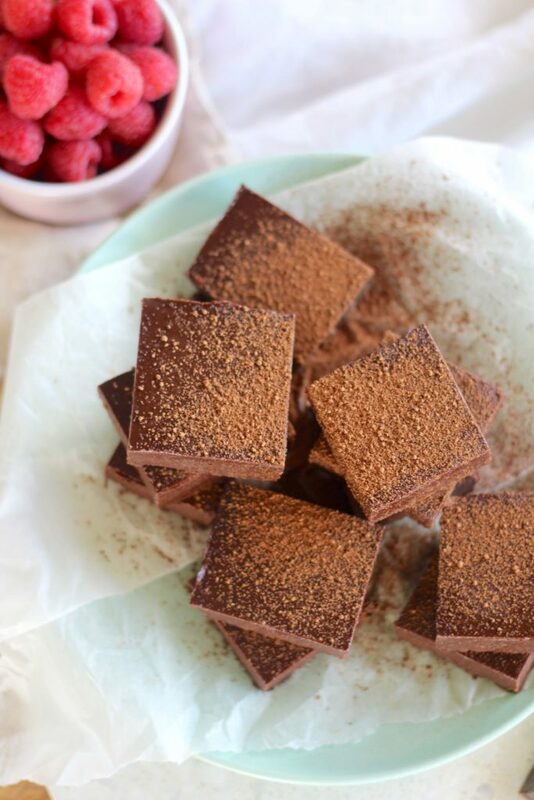 Raw keto chocolate fudge brownies for your valentine! SO GOOD! 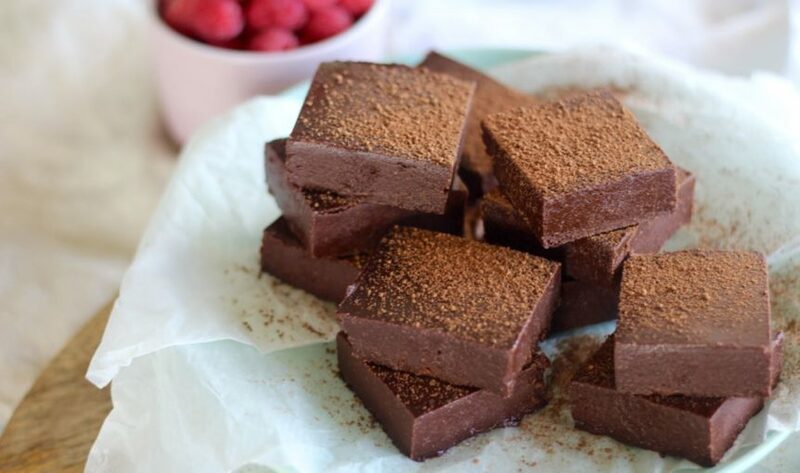 Raw keto chocolate fudge brownies for your valentine! Oh you are about to win 10 points from your lover when you whiz up these raw keto chocolate fudge brownies for Valentine’s Day. YAY. Valentine’s Day is actually the best. We know it’s a big excuse for shops to sell teddy bears BUT it’s also the perfect opportunity to celebrate LOVE. And LOVE is the greatest. Love for yourself, others and the world. So these brownies aren’t the present type. Don’t wrap them up and gift them because they WILL melt! BUT they are the kind of pressie you give to your Valentine post going out dinny, just arrived home, making a cup of tea kind of thing. OK! This amazing recipe is brought to you by Supabarn. They have everything you need to stock up your healthy kitchen! You will definitely enjoy getting lost in their health food section (they have EVERYTHING! All the nuts. All the ingredients. All the fresh stuff!). We love going back to Canberra to visit, stocking up on all our pantry supplies and filling a suitcase to bring back up to the Gold Coast! So even if you don’t have a lover this Valentine’s Day just know that you can totally whiz up these brownies for yourself, then share them with your friends OR just freeze them so you can treat yourself like every dayum day. Because… you deserve it! 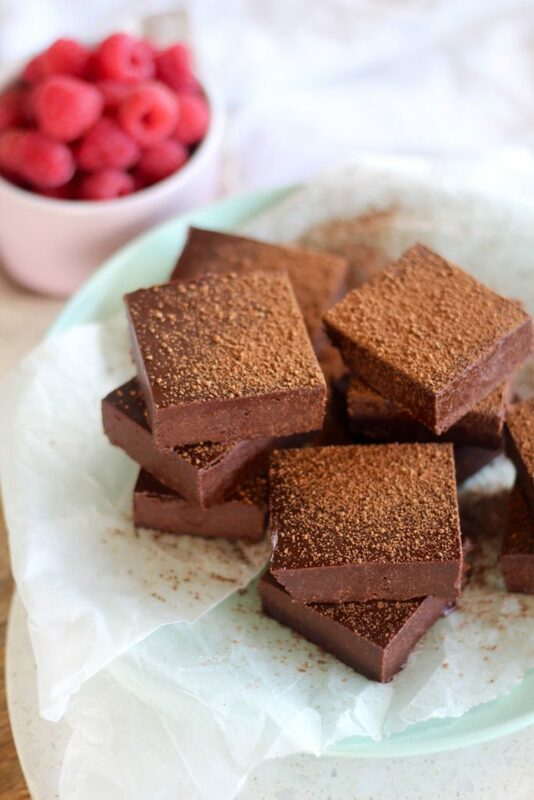 Let us know if you make these raw keto chocolate fudge brownies, we’d love to see a photo, use #GetMerry and we’ll re-share our faves! P.s remember to keep these babies in the freezer and only take them out when ready to serve! P.p.s this is the sweetener we’re using at the moment! Pretty much the easiest recipe ever! Whack everything into your blender and whiz until smooth. Transfer into a 20 x 20 cm (8 x 8 inch) silicon mould or lined slice tin. Place into the freezer for 1 hour or until set or ready to serve! Cut into squares and go to lovers chocolate town! Make these for your lover OR be super cheeky and send them the recipe to request this for your next dessert! Remember to keep these in the freezer until you're ready to serve! They WILL melt fast!